The tablet computer as we know it is about to turn 5 years old. 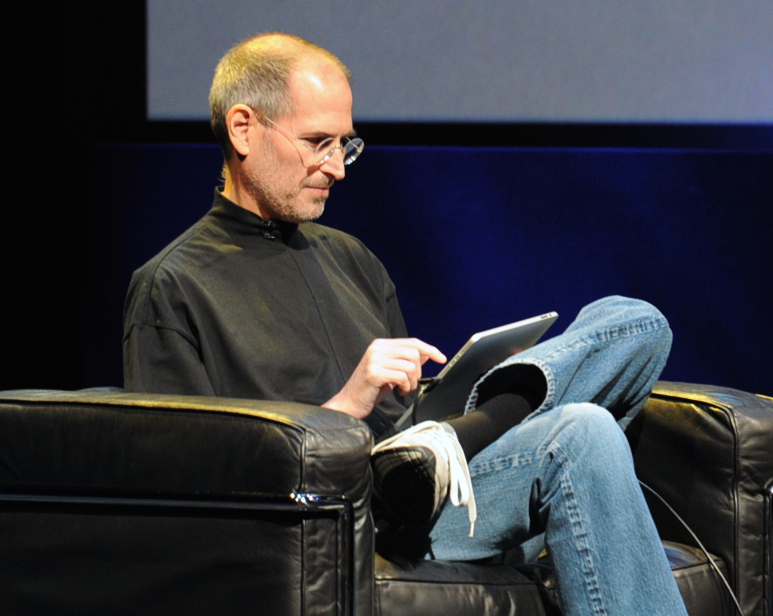 Yes, tablet computers in some for or another existed before then, but on January 27, 2010, Steve Jobs introduced the iPad, which truly formed the basis for what we currently understand a tablet to be. Whatever we considered a tablet computer to be before then no longer counted. The iPad line itself is now in its sixth generation of iterations. So now that we’ve had tablets for half a decade, what can we fairly say about their impact and their role in our digital lives? Have they lived up to their promise, and do they continue to justify their existence as a product category unto themselves? Yesterday, I wrote about how I was considering abandoning the iPad, despite my iPad evangelism of the recent past. As delighted by iPads as I have been, I’ve lately found them to be less useful and less necessary, as other products, namely smartphones and laptops, encroach on their territory. I thought it might help to go back to the beginning, to the iPad introduction where Steve Jobs laid out the case for Apple’s decision to make the iPad to begin with. (As a side note, man, does going back to those old videos make me miss Steve.) As was his wont, Steve made some pretty bold claims about what role the iPad should play, and how it excelled in comparison to other devices, and all before anyone outside of Apple, Inc. had ever even used one. “All of us use laptops and smartphones now,” he said, and asked, “Is there room for a third category of device in the middle?” He posed this question obviously as a fan of smartphones and laptops, being the guy who makes iPhones and MacBooks. This product would have to be not just adequate at these tasks, but superior to laptops and phones. “Otherwise it has no reason for being,” Steve declared. It’s interesting to note how definitive this position is. Steve wasn’t saying that the iPad was merely going to be a nice or novel way to do some computing tasks and consume some media, but that it would be better at all of those things than even the very products Apple made at the time. Coming into this environment, the iPad is very compelling. It’s personal, in that you hold it in your hands, sitting back in a chair or what have you, and manipulate the content with your fingers. “It is the best browsing experience you’ve ever had,” Steve said, and repeated variations on “Holding the Internet in your hands; it’s an incredible experience.” And it was! It was also relatively powerful, powerful enough anyway. You could take care of email, and get real work done if needed. “It’s a dream to type on,” said Steve, which I think is arguable at best, but I’ve found it to be a better typing experience than most, I think. Perhaps due to my wee little hands. He made other claims. He said it was superior for watching TV and movies, which I think was and still is true today. He said it was the best way to enjoy music, which I think was and is still untrue. There’s no beating a pocketable device for being the central repository of one’s audio content. The iPad is arguably not even superior to a MacBook for music, as a MacBook can sit at a desk attached to a good sound system, where it’s easy to assemble playlists and do other fiddly things with one’s collection. An iPad simply has sub-par speakers and a big screen going to waste on album art. So, sorry, Steve. He said it was the best way to read e-books, granting that the Apple was “standing on [Amazon’s] shoulders” to do the Kindle one better. I think that claim was a wash at the time, as the iPad did not yet sport a high-res/Retina display, and text on the E-ink Kindles was much nicer to read. Today, it’s also a tough call. The glowing, high-resolution displays of the Kindles Paperwhite and Voyage are wonderful for reading, but a Retina iPad mini is in many ways just as nice, and there’s no way a Kindle can best the iPad at ease of use in user interface. So I don’t think this match-up has been sufficiently settled. One claim I think we can say is settled is the idea that the iPad boasts “the best interface we’ve ever seen” for productivity apps, which at the time were the first iOS iWork apps. Maybe they were the best interface for tablet productivity apps, but that bar was so low that it was probably underground. But then as now, despite the many strides Apple and developers have made in the productivity space, the iPad still can’t come close to matching the laptop. I considered for novelty’s sake writing this piece on my iPad, but I couldn’t bare the thought of doing longform writing, editing, and formatting on it. So here I am on my MacBook Pro. That said, I decided to do my writing at the local Starbucks (my “satellite office”), and since I hadn’t charged my Mac in a while, I had to make sure I brought my AC cable and found a seat near an electrical outlet. With the iPad, there would have been a much better chance that I wouldn’t have even had to think about whether the battery would last. It’s not 2010 anymore, of course. In five short years, the landscape has changed enormously. iPads have evolved and improved to be almost unbelievably thin and powerful, and now come in two distinct screen sizes. Other manufacturers, who once rushed out laughable “competitors” to the iPad now make all manner of quality hardware, from the inexpensive-but-dead-simple Amazon Fires, the svelte and slick Nexus 7 and nVidia Shield, to the high-end, ultra-high-resolution Samsung Galaxy Tab S line. The biggest problem faced by these devices is the simple fact that the Android software ecosystem is still pretty lame for tablet-optimized apps, and that often these manufacturers make overly-complicated interfaces in order to squeeze in unnecessary “features.” (Not the case for Amazon or Google/Nexus of course.) iPads remain almost indisputably superior, but they are no longer the only good choice, and the gap narrows more and more all the time. But the real challenge to the iPad and to tablets generally is that the space in the middle that Steve Jobs talked about in 2010 has shrunk. A lot. Let’s look at laptops. Again, in 2010, good laptops (meaning MacBooks) were 5-pound hunks of metal that needed power and heat dissipation and had slow spinning-disk hard drives. Today, MacBooks are light, svelte, have incredible battery life (with MacBook Airs well outlasting iPads), and game-changingly fast solid state drives for storage. Even MacBook Pros are lighter, thinner, and longer-lasting than ever before, coming close to the iPad in battery life. A full-size iPad has a 9.7-inch screen, but one can also buy a MacBook Air with an 11-inch display with a similar footprint, and if you match storage capacities between devices, the prices are only about $100 apart. If I need to run out to, say, Starbucks and want to get some work done, is it really more convenient to bring an iPad than a MacBook Air? The MacBook will have a far-better keyboard, and have vastly superior functionality for things like working with multiple apps in multiple windows, and text editing and formatting (and simple things like copying and pasting). But what if you’re hitting the coffee shop in order to kick back and relax, browse the web and read a book? Well, the iPad is great for that, and if you need to do some work, it can be done reliably. So is that the trump card for the iPad? As I’ve written many times before, the iPad for me is a “choose-to-use” device, the thing you reach for when the work you have to do is done, which usually happens on a PC or a phone. And in this scenario, sure, the iPad absolutely beats the laptop. Of course we now have to look at the state of the smartphone. In 2010, phones were mostly small. The iPhone 5 with its 4-inch display was more than two years away, and even that is considered small by today’s standards, and the current new line of iPhones’ smallest screen size is 4.7 inches (though the 5S and 5C are still being sold as new by Apple). And this doesn’t even get into the world of phablets, loosely characterized by having displays of 5.5 inches or more. Even Apple now produces a phablet in the iPhone 6 Plus (5.5“), and its fans are zealous ones, and the Samsung Galaxy Note 4 (5.7”) is nearly universally adored, both for their large, high-resolution displays, and for one other big benefit: They obviate the need for tablets for many people. In particular, I hear anecdotal tales of people forgetting about their iPad minis, and I include myself in that. And then of course there’s the Nexus 6 at 5.96 inches. With my excellent new LG G3 (5.5″) my iPad mini 2, at 7.9 inches, was rendered almost entirely redundant. I sold it, and assumed that I’d still require a tablet in my life, and certainly I’d still want some iOS device, so I got a used iPad Air. But I found I still wasn’t using it much, despite the fact that it remains superior in some ways to the phone and the laptop. But maybe not in enough ways. Last year I wrote in defense of the iPad as a writing device, comparing it to smartphones as cameras, adapting the adage that the best camera is the one you have with you. The iPad was there, and sufficiently capable to make it a great device to write with right now when the thought strikes. It is with you, isn’t it? But my iPad stopped being with me all the time, and if I have to seek it out to write, I might as well seek out the better writing device, my MacBook. What about the other areas in which Steve Jobs said the iPad was superior? Web browsing stands out, certainly, as there really is nothing like having an entire web page in your hands, one that you control with your fingertips. But it’s not so much better than doing the same thing with a large phone. It’s better, but not enough that it means I’m going to stop what I’m doing and seek out my iPad. Book reading? 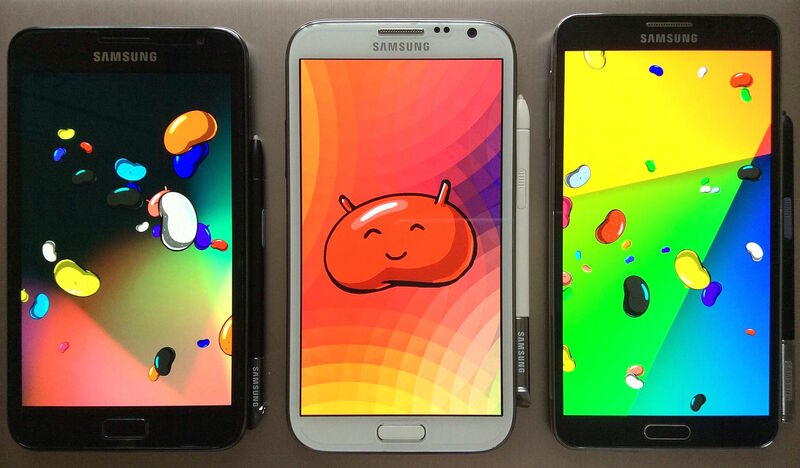 Nope, the phablet is better. Ultra-light, a large enough screen comparable to a mass market paperback, and ultra-high-resolution, crisp text. The iPad is a great e-reader, but the large phone with a high-res screen is perhaps the best one, maybe even better than the best Kindle. Games? I’ll give this one to the iPad, certainly, at least for the games I like. Scrabble, Monument Valley, Robot Unicorn Attack 2, Tiny Wings, Bejeweled Blitz, Crossy Road – these games are much better on the larger display of an iPad. Other games it’s more of a wash, like Threes. Having an Android phone, I would also miss being in both conversations, as it were, because with no iPad, I have no iOS device. It also throws out all the time and money invested in that software ecosystem. But this is my personal issue, not a facet of the broader discussion. My personal decision is not yet made, and these things are always fluid, particularly for me. A change of mind a few weeks after any decision could mean more buying, selling, and trading to reconfigure my setup once again. I’m lucky that such a thing is even feasible, with a little work. And it’s fun. At the end of the 2010 iPad event, Steve Jobs summed up what he had introduced as “Our most advanced technology in a magical and revolutionary device at an unbelievable price.” But now even price is no longer a marquee aspect of the iPad. At the time, people were shocked it wasn’t $1000. Today, very good tablets can be had for just over $100. iPads remain the best tablets, and really good ones (like the 16GB iPad mini 2) can be had for about $300, which is fair. But with the encroachment of phones and laptops onto the iPad’s “middle space,” it’s hard to beat the price of zero dollars: No tablet at all. Update: I have an addendum post that also takes into account something Steve Jobs didn’t: Comics and graphic novels. * As my friend Tom Loughlin pointed out in the comments of my previous post, Chromebooks occupy an interesting position in all of this, as not-quite full power PCs, but not-quite tablets, but a kind of secondary or “spare” PC for portability, battery life, and kicking around on a budget. They don’t quite qualify for being part of this discussion per se, but one could for the most part transpose Chromebook for MacBook throughout this post, but I also understand that it could for many be seen as an iPad replacement. This entry was posted in Essays, technology and tagged android, apple, gadgets, ipad, iphone, macbooks, pcs, phablets, smartphones, steve jobs, tablets by Paul Fidalgo. Bookmark the permalink.